I have a confession: Long, long ago, I used to belong to that group of people who didn’t like travel preparations. While I loved travelling, I dreaded the packing (and unpacking), and also wished I can just tele-transport to my destination and skip flying altogether. But that was long, LONG ago. We’re talking decades ago, when I was around 18 or so. Many years later and after honing my travelling skills, I now belong to the camp of happy travellers. I now enjoy EVERY step of travelling – from planning, to packing, checking-in at airports, to flying. I know that most hesitant travellers are dreading about the stresses of packing, checking-in, the possibility of forgetting something, getting caught up in the traffic of airport security, etc. There are some things that you cannot avoid such as security process at airports, or who sits next to you on the plane, but there are always ways to not get stressed about it. In Holy Smithereens-land, we’re all about having a ridiculously good time on all your travels, so here’s a list of tips I have on how to have an enjoyable time when travelling. I’ve taken the liberty to divide these tips in 4 sections: Pre-trip, At the Airport, and While Flying. I still create my own packing list but a week or two before your trip, print a list similar to this one. Look at it everyday. 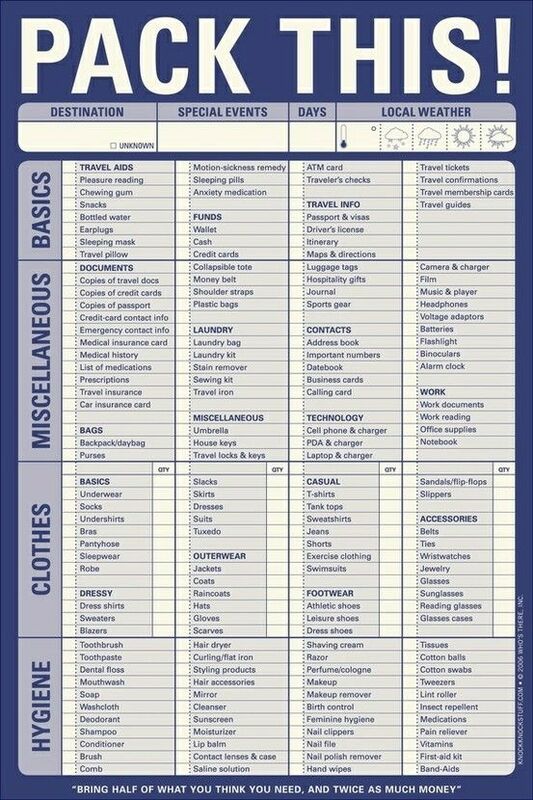 Just glancing at this list will help remind you what you need to pack closer to ‘packing day’ or departure day. By looking at this list everyday while still carrying on your usual day-to-day duties/life, it will help give you a reminder of what items in the list you need to stock up on or purchase. Packing Cubes have changed my life. Seriously. 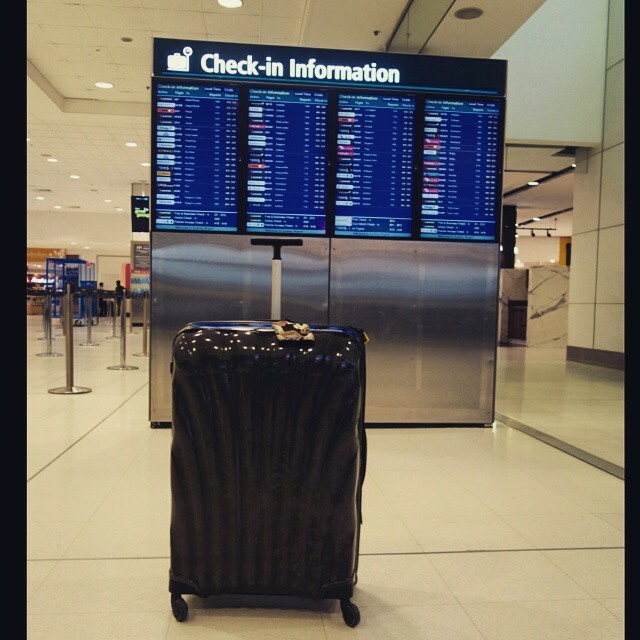 It doesn’t matter how small or huge your suitcase/luggage is. Use packing cubes! I discovered packing cubes in 2013 and have not packed the same way again. Even the most unorganised packer will be efficient with these cubes.This prevents you from overpacking and also helps compartmentalise things inside your bag. It also gives me a feeling of security that should airport officials open my luggage , my personal contents are not blatantly ‘out there’. 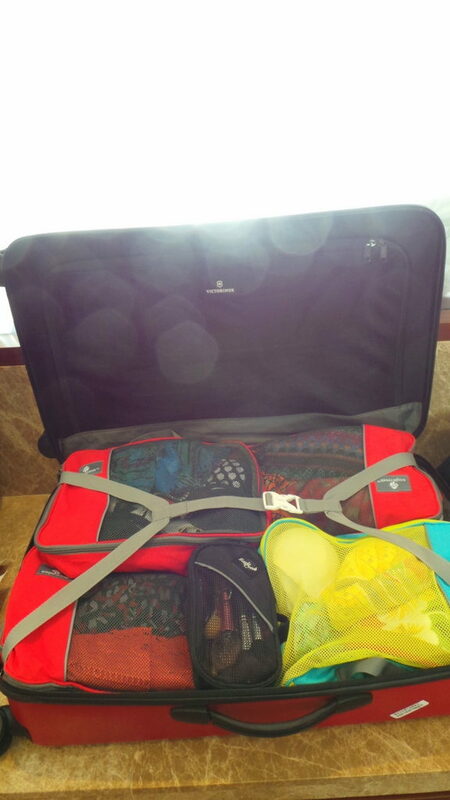 Here’s a very detailed post I wrote about how I pack with packing cubes. Most airport stresses are caused by being held by the Customs / Quarantine officials of a country. Australia is quite known for being strict about organic food products and such, and we even have a rather entertaining (and educational) TV show about it, Border Security. But other countries also have their own set of rules. 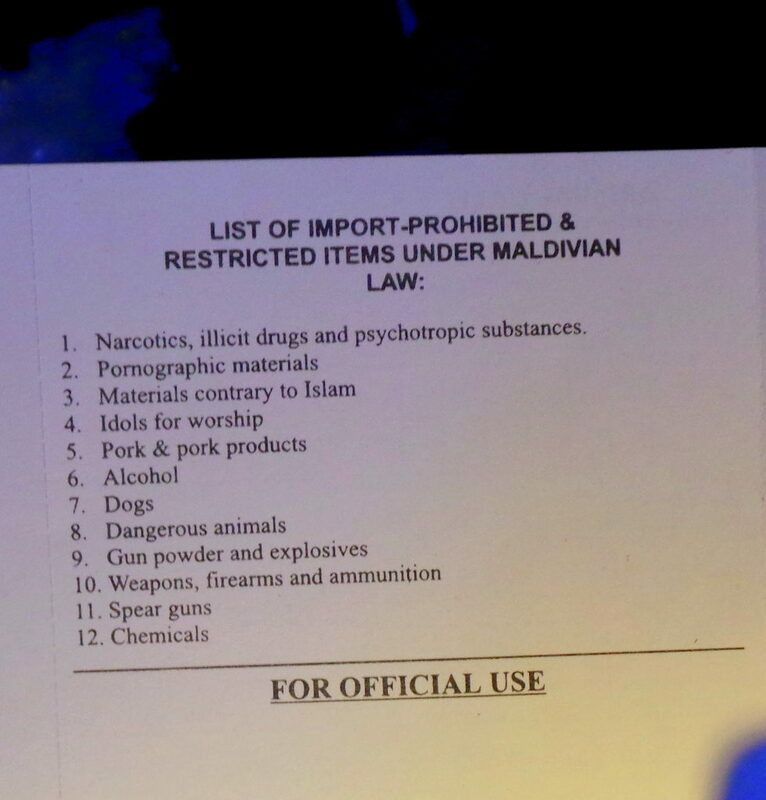 Just do a quick google search to find out what is prohibited to bring to your destination. This will save you a lot of trouble. This is a very simple tip but often overlooked. Whilst there is the general rule of arriving ‘2 hours prior to departure’ , I always make it a point to arrive even 3 hours prior to departure. Most especially if my flight departs in the early morning at Sydney Airport. This is the peak departure time at Sydney Airport and even though you would have checked in just in time, there’s the long line at Immigration and the X-Ray / Security checks. Most of the stress that comes with travelling is due to worrying about getting stuck in the queue. You cannot control the queues but you can counter this by arriving extra early so you are not too stressed while waiting in line. It makes me sad whenever I see people lined up at Immigration only to be sent back because they have not filled out the proper documents. If you travel often, it will help to have a handful of these forms so you can have them pre-filled when you travel, and not be filling them out hurriedly at the airport (scrambling for a pen, looking for a makeshift desk, etc). But bear in mind that these official forms change often so don’t stock up on it. Make sure you are aware of the latest formats. And remember, it is illegal to distribute these freely. Just keep it to yourself and only use when travelling. Although I still belong to the group of travellers who believe in dressing well while travelling, I also make sure I’m not wearing things that will make airport body scanners beep like crazy. I also want to be comfortable. This means: No buckles, No dangly earrings / necklace, no high heels. Make sure that shoes are easy to slip in and out of. I also pack in a scarf as temperatures can drop inside the aircraft. *Note: I do not believe that one must take sleeping aids / medication on flights so the tips below are geared toward giving you a most relaxing time during your long-haul flight. 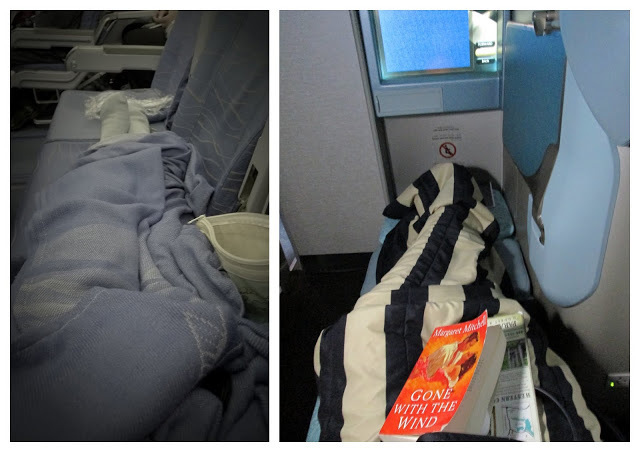 Left: D-I-Y Business Class on 3-4 economy seats, Right: actual business class. If you’re already travelling business class, you don’t need any more tips how to relax on your flight (ha!). I don’t always fly at the pointy end of the plane (business), and I don’t mind flying economy because I’ve mastered the art of doing a D-I-Y business class. The biggest factor here is securing 3-4 seats by yourself in Economy class. You can always nicely ask the check-in agent to put you in a zone where there’s less passengers. The biggest factor here though, is choosing to fly on days when there are least passengers (Weekdays, and inconvenient hours like mid-day departures). One of the things I buy at the airport and stock up on is “Frequent Flyer”. These are like Berocca, but is loaded more with Vitamin C (than B). I dissolve 1 tablet and drink a glass every 3-4 hours. I will sound like a germaphobe here but no matter how aircrafts are disinfected, being inside a plane on a long-haul flight with hundreds of other people really is the best environment for viruses to be spread, no matter what cabin class you are on. And I don’t mean to sound like your mum, but — use the toiletry kits the airline gives and brush your teeth before heading to sleep, especially if you’ve eaten. 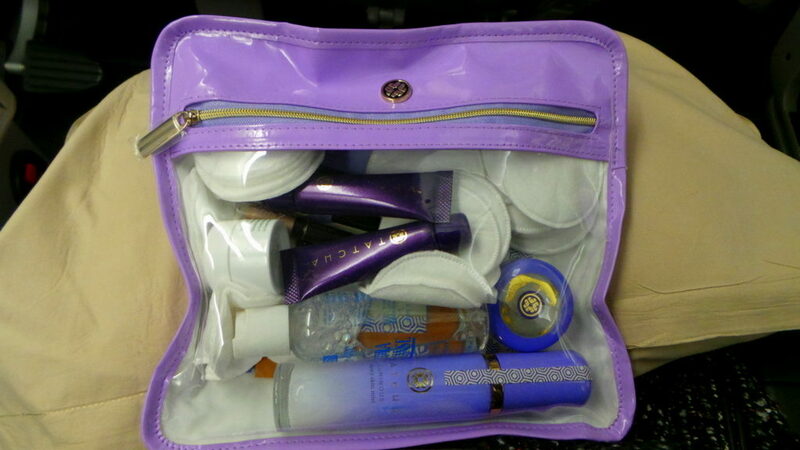 If the airline doesn’t hand out toiletry kits, go to the galley and ask for a toothbrush set. There’s more chance of bacteria and virus developing if you sleep without brushing your teeth. We’re doing all this because you want to be alive, alert and awake when you reach your destination! 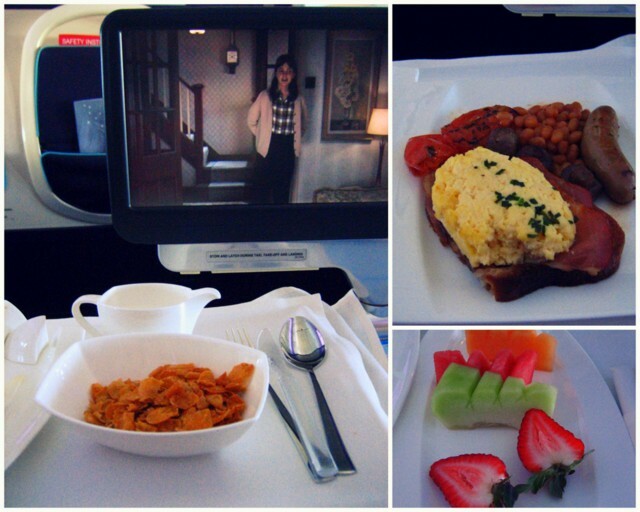 When you’re in a flight, it’s so tempting to accept everything offered to you. After all, there’s nothing much else to do (it’s been said that people eat when they are bored). But most flight discomforts are brought about by drinking alcohol and eating far too much. Choose the lighter, healthier options in your tray. When I’m served breakfast, I sometimes skip the main course , or only take a small portion, but make sure to finish the fruits and yogurt. This doesn’t mean you don’t eat at all. 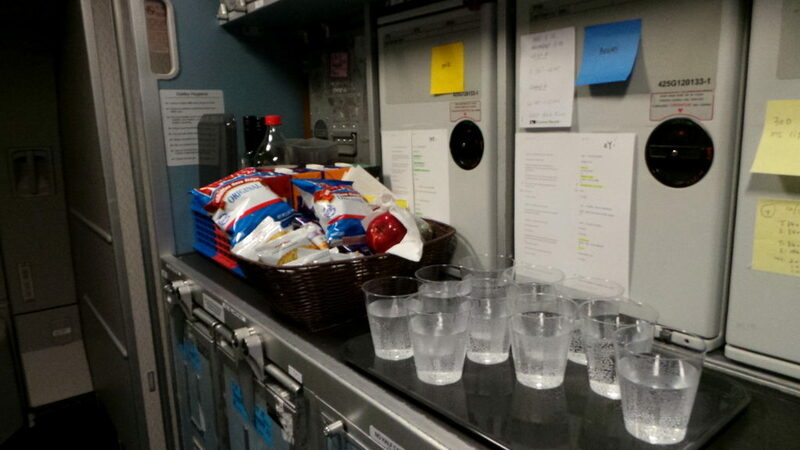 Just make healthier choices ( water instead of soda) and you’ll feel better on the flight. It also sometimes helps to pack your own snacks like a mix of dried fruit and nuts, so you don’t get tempted to nibble on snacks that the flight has to offer (ahem, like nachos). Ok, this sounds extremely superficial but this routine will really help you fall asleep soundly and wake up to a glowing complexion. Sometimes, no matter how I adhere to my own rules about trying to relax on flights, there are still some flights when I end up looking like a serial murderer upon landing, which does not bode well when you’re about to go through Immigration. So after researching and experimenting, I have come up with a D-I-Y facial during long haul flights. There you go, I hope these tips will help you in turning all your travels and flights into a relaxing experience that you look forward to! Top tips! This post is perfectly timed as I’m flying London – Sydney later this week. DIY Business Class is the next best thing to the real deal, but so hard to come by these days. The entertainment system failed on my way over, so I’ll be stoked with some movies or even a reading light! My tip is if you’re prone to over packing and/or over shopping (like me,) invest in one of those portable luggage weighers so that you can keep an eye on the weight of your bags and avoid any expensive run ins at excess baggage! Oh yes I agree about those portable luggage weighing device. I could never correctly weigh my luggage using a common weighing scale! LOVE your tips lady! Last long haul flight I took from Singapore home, the flight kept getting delayed, around 12 hours we were in the airport. Thank goodness for fancy lounges! Then when we boarded, there were more delays, another hour sitting on the plane. So before I had even started my journey home, I had done a day of travel. Gahhhh! You can imagine how glamorous I felt as I walked onto home turf. LOL! I vowed then my next trip would be business class, not sure my body could handle 12-15hrs like that again. Ohhh that sounds so painful, all those delays! yes the only way to offset that kind of trouble is to be in business. Absolutely right, we do reach an age where our bodies just cannot take so much beating from delays and being cramped. Some great tips Jean and I’ll share this on social media. 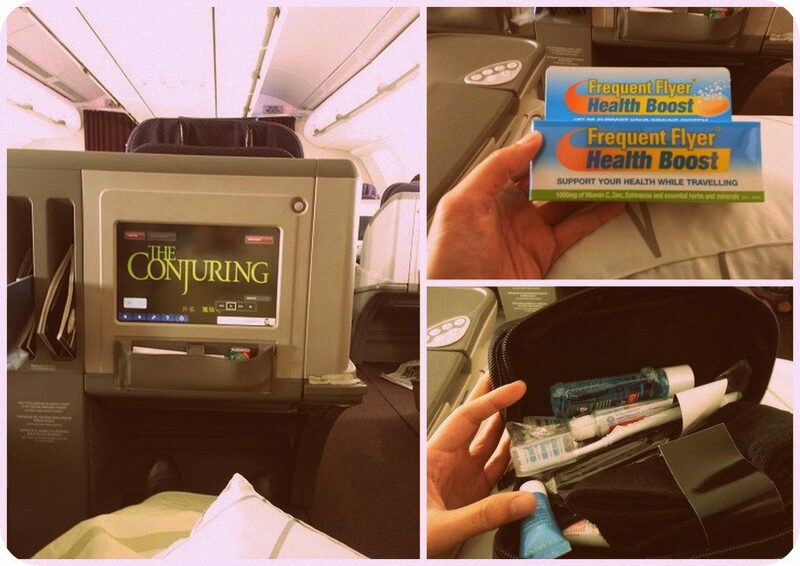 I definitely like the idea of taking Frequent Flyer pills and using packing cubes. Good luck with the competition! Thanks so much Suze! The Frequent Flyer tablets (and Airbourne if flying from the US) are really a life saver for me. I have a not so strong immune system and get cold easily so its a must! Have to say that I’ve always loved flying long haul… in my old age I do prefer business mind you. I MUST get some packing cubes!!! oh yes, if given the choice I think one would always prefer business he he 😉 Oh yes you should get your hands on packing cubes! I was just watching on YT the other day, this entire family was going on a cruise and everyone had packing cubes, colour coordinated as to know whose is which. So fun to watch. It brings out the inner ‘organised/oc’ persona in one, even if I’m really not the most organised person in the world! P.S. What brand of packing cube do you recommend?